Discussion in 'iPhone and iPad Games' started by ojtitus, Oct 6, 2016. 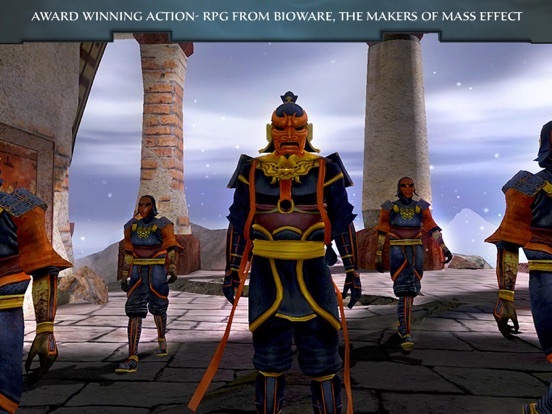 Jade Empire: Special Edition is an award-winning action RPG from the makers of Dragon Age and Mass Effect. 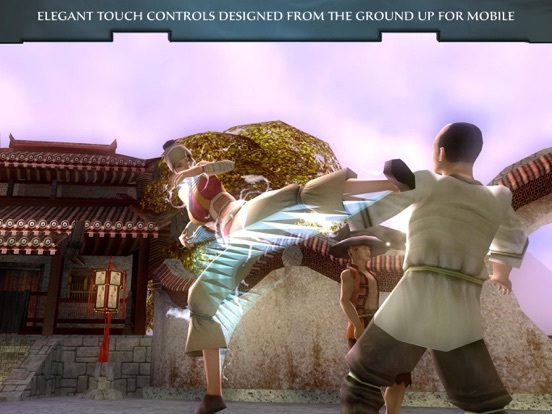 Experience a unique combination of fast paced martial arts action with a gripping, character driven story set in a mythical land. Each decision builds your reputation, changing the course of interactions with other characters and followers. 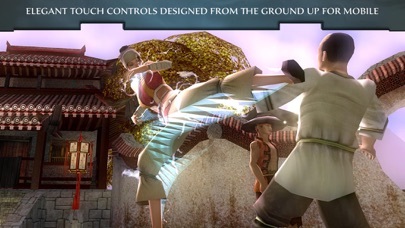 Take the role of a master of martial arts, and recruit followers to your cause in an interactive, living world. 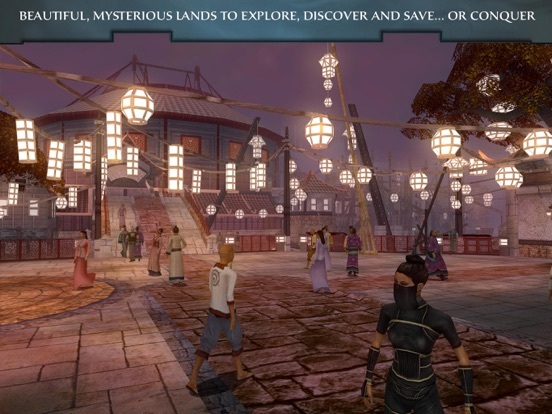 Embark on an epic journey with fascinating characters across a graphically beautiful, fantastic new world inspired by the myths and legends of ancient China. Sinister events upset the peaceful harmony of an isolated martial arts school, drawing you into a story that unfolds with drama, action, and adventure. Detailed followers and other non-player characters enrich the adventure by providing comic relief, rivalries, flirtations, and hostility. Stare in awe at the sweeping views of the lush environments, sheer vertical drops, and overpowering scale that provide the visual backdrop to the story. 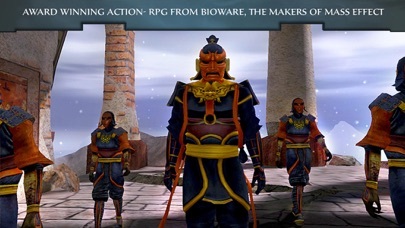 Confront wild outlaws, evil magicians, demonic incarnations, and other foul villains that protect the Jade Empire’s darkest secrets. 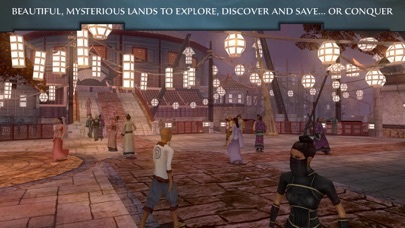 Game Features: • An epic experience with a rich blend of role-playing and exciting real-time combat. 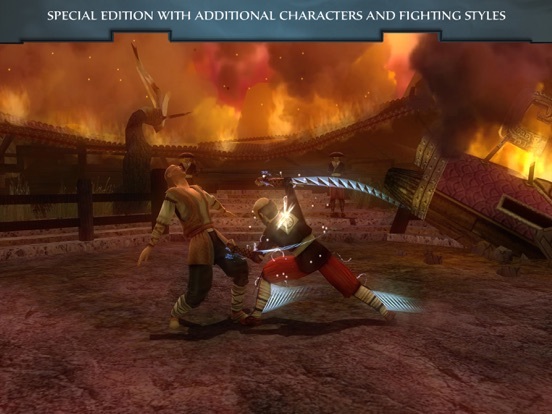 • “Special Edition” version of the game with additional content. • Elegant touch controls designed from the ground up for a mobile screen. 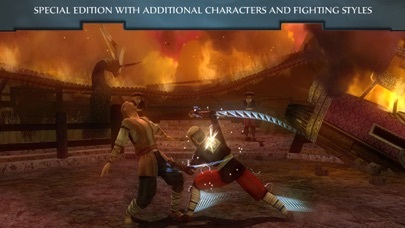 • Jade Empire: Special Edition for mobile is the full experience, with over 40 hours of gameplay. • Achievements for the first time! • Full MFi extended controller support • A streamlined user interface custom-made for the touch screen helps immerse you in the action and exploration. ••• Note: This game is compatible with iPad (3rd generation), iPad Air, iPad mini (2nd generation), and iPhone 5 and newer. THE GAME WILL NOT RUN ON EARLIER DEVICES! ••• © 2017 All rights reserved. BioWare and the BioWare logo are trademarks or registered trademarks of EA International (Studio and Publishing) Ltd. Aspyr is a registered trademark of Aspyr Media, Inc., and the Aspyr star logo is a trademark of Aspyr Media. Mac and the Mac logo are trademarks of Apple Computer, Inc., registered in the U.S. and other countries. All other trademarks and trade names are the properties of their respective owners. Wow! Downloading now. Great review! Here goes another 4 gigs of space hehe. 3.9GB installed, and it seems to need to download more? Probably Apps Store bug. But why in the 'Verse does it want to send me notification? EDIT: nevermind...the article says yes. Time to charge the controller. The description above says it is. I don't have one to test it though. I think KOTOR sends me a rare notification reminding me to play if I haven't for a long while. i too just recognized Nathan Fillion as one of the voice actors (he's one of the students in Chapter One). MFi? YES SUPPORTED. I WISH IT WAS 20 USD. Whoa. I'll have to run around again and listen to them. Met that guy at a party once. Seemed nice. And tall. Haha. OK...downloaded and ready for my commute to work. I am a long-time Browncoat(tm). Honestly I don't recognise Mr. Fillion is in this one until you point out. Is it time to chant for KotoR2: Complete Edition? Oh man. Hope they wait a little bit before releasing that or else I'll never finish any of these games! Hahaha. But yeah, it would be another day one purchase. I already bought it day one on my Mac.